I love this time of year. It’s like the garden’s gone wild, everything ready for harvest all at once and a sense of urgency is felt by me and the vegetables to get it done. Get it picked, get it harvested and get it preserved. It is a crazy intense time as fall is here for real and soon we will have the first 32°F night (historically the middle of October). Right now nights are in the mid 40’s but that will change soon. The mornings require a sweatshirt in the garden now. The sunflowers have come and gone, my cucumbers are done. I spent hours picking and pickling them as I love pickles. The zucchini are gone too. The green and purple beans are mostly finished. The shishitos and poblano peppers and eggplants are done as of this week. The 25 lbs of pears and 30 lbs of apples Michelle gave me are already dried into chips. The corn tassels are drying and soon I will see if my experiment of planting all pink kernels of Glass Gem corn will turn out pink ears or still be multi-colored. Either way is fine. 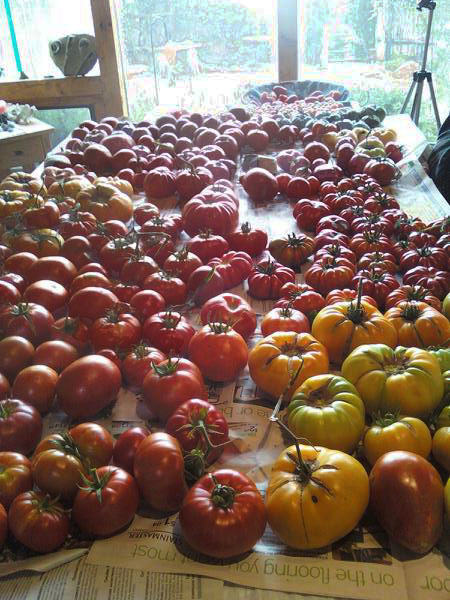 The tomatoes are definitely fading, preferring much warmer nights and their size and harvest is getting smaller. I’m making tomato soup, tomato tapenade and tomato sauce like crazy-so far 18 gallon freezer bags of raw sauce in each that I will later make pasta sauces with (once the garden is done). 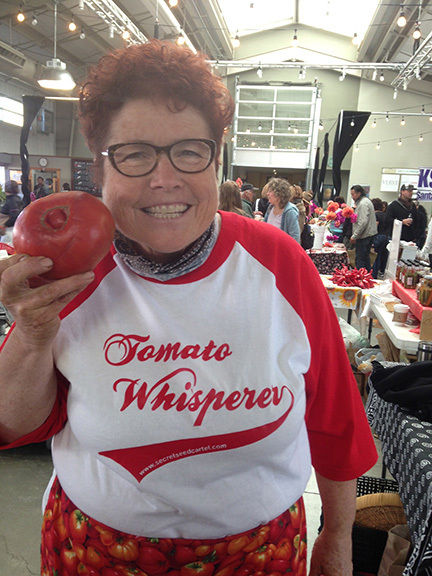 Today was my last day at the Farmer’s Market as the Tomato Lady for this year as I will not get enough tomatoes again. But the potatoes still need digging, the herbs need trimming and drying, Jimmy Nardello peppers are still kicking and need picking, the beets and carrots I planted in early spring are ready for harvest and the chard and different kales I planted in late July are loving the cooler weather now and will endure until we have really cold weather. Crazy busy around here. 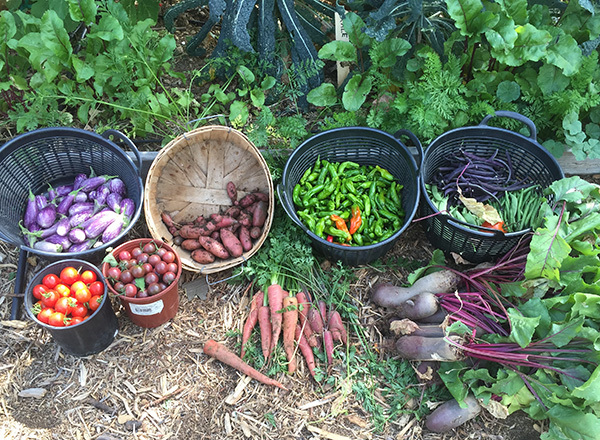 This entry was posted in 'THE TOMATO LADY', CORN, FALL GARDENING, general, glass gem corn, PRESERVING FOODS, VEGETABLES and tagged fall gardening in Santa Fe, fall vegetable gardening, fall vegetable harvesting, vegetable harvest.